For Tim O’Brien Homes, there’s the satisfaction of finally climbing the mountain after nailing the Gold in the 2018 National Housing Quality (NHQ) Awards following two consecutive years of winning Silver. Yet there also is a slight sense of bereavement for Tim O’Brien, president of the Milwaukee and Madison, Wis., company, because winners of the home building industry’s top prize for achievement in total quality management are ineligible to apply again for two years. 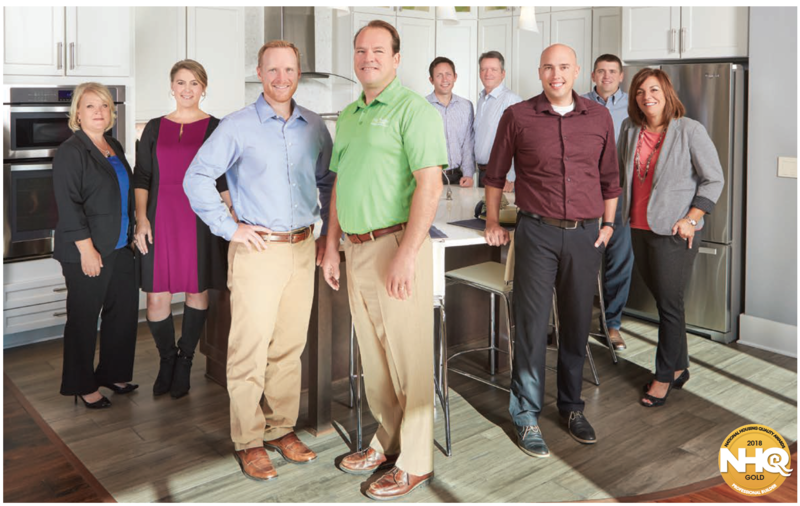 The Tim O’Brien Homes team, from left to right: Amy Boczkiewicz, HR director; Mandi Kohlmetz, marketing director; Matt Neumann, partner; Tim O’Brien, president; Craig North, VP of construction; Dan Gorski, VP of purchasing and design; Daniel Lowery, Madison division president; Corey Gerth, sales director; Angela Cooper, Milwaukee division president (Photo: Ray Guansing). “That part is kind of disappointing to me because I enjoy having [the NHQ judges] come and share things,” O’Brien says of visits from the panel of examiners. “It’s not just what happens year over year, but there are a lot of trends and things that they see that other businesses are doing. Now we have to wait another two years to get that feedback.” O’Brien values the judges’ input as an opportunity for the builder to continue to grow and develop. For applicants that get as far as being NHQ finalists, getting a site visit from an examining team composed of previous NHQ winners and quality management experts is the apex of scrutiny from outsiders. But builders that have been through the process also see it as a learning experience. 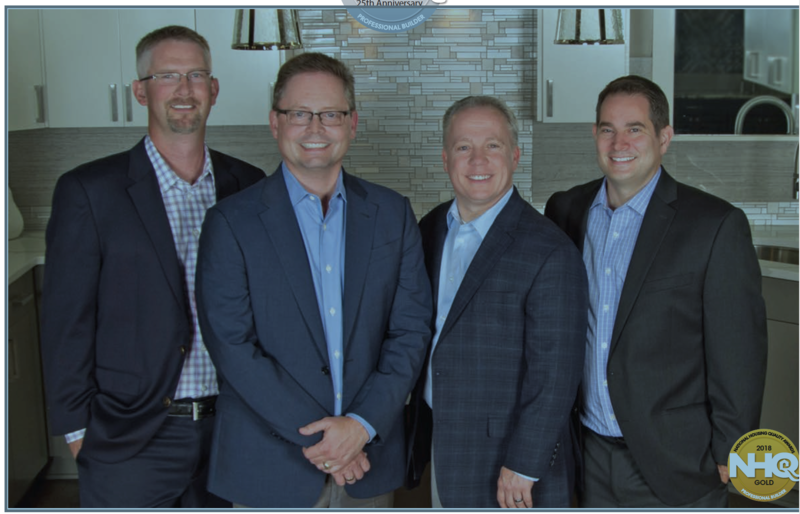 Senior managers for Pacific Lifestyle Homes, a 2018 NHQ Gold winner, left to right: Russ Tiedeman, VP of operations; Kevin Wann, president; Steve Bradford, VP of sales and marketing; Michael English, controller. This is the builder’s first time vying for an NHQ award (Photo: Courtney Bodily). The NHQ Awards, which are observing their 25th anniversary, are modeled after the Malcolm Baldrige National Quality Award and ISO 9000. Builders enter by completing a 250-question application that delves into whether their operation has a systems-and-process–oriented quality management system in eight areas of a business: leadership, strategic planning, performance management, customer satisfaction, human resources, construction quality, trade relationship, and business results. Some builders that grabbed the application for the first time—intending to complete it within a couple of weeks—discovered that the document demands far more than simply filling in the blanks. Inevitably, they used it as a blueprint for self-assessment and subsequently launched continuous improvement practices previously missing from their operation before finally submitting their entry for the awards. Previous NHQ winners and quality management experts grade the entries, and their scoring determines which finalists tally enough points to qualify for site visits. The visiting team of examiners validates the information submitted; fills in missing details; interviews senior managers, employees, and trade partners; and visits jobsites. Scores from the written application and the site visit report are combined to determine recipients of Gold, Silver, and Bronze honors. Entrants are not competing with one another, as these awards are based on how well organizations meet the NHQ criteria. 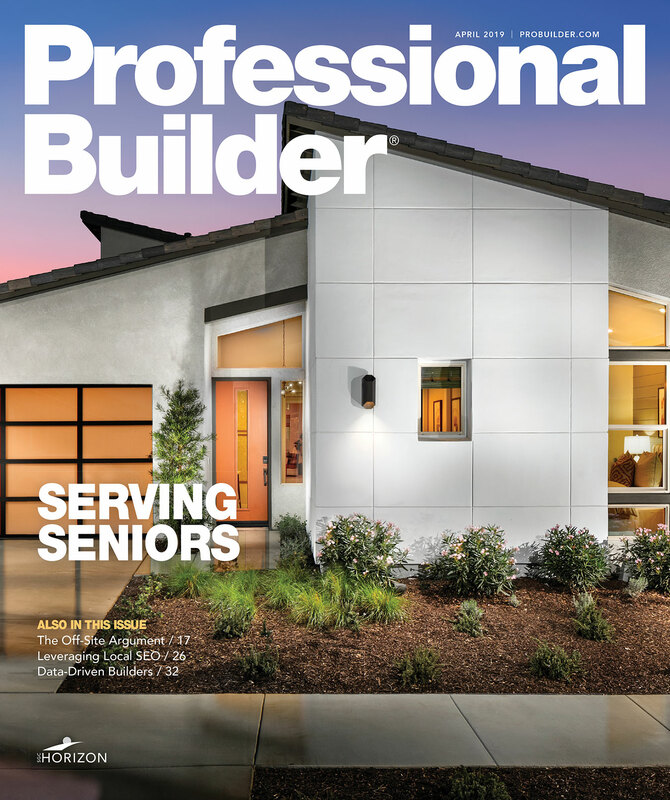 There have been 116 NHQ Awards conferred on home builders, remodelers, trades, and suppliers since the first honor was given in 1993, including 45 Golds, 33 Silvers, 15 Bronzes and Honorable Mentions to builders. Sixteen builders have won multiple awards, and more than 90 percent of NHQ winners are still in business. Previous Gold winners even include builders that closed as few as a dozen homes per year. Applicants that were not selected for site visits do receive a feedback report written by the judges. 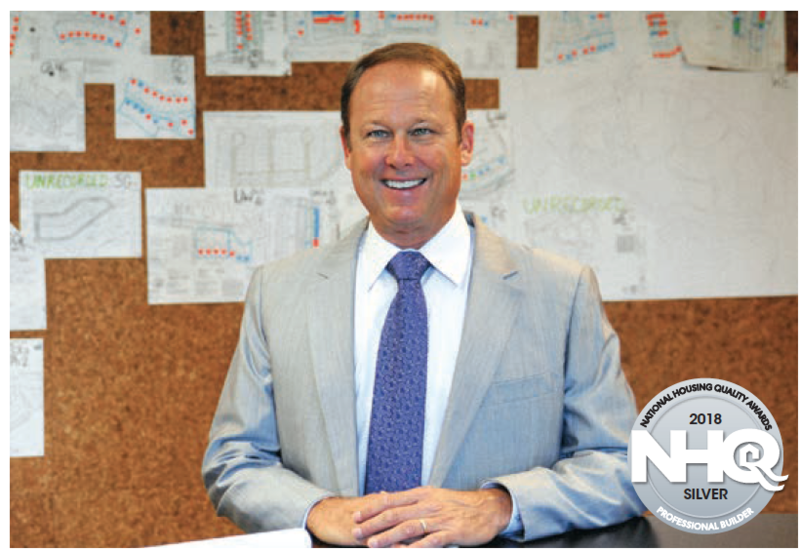 Bob Goodall Jr. is president of Goodall Homes, which won its second NHQ Silver award in three years (Photo: Courtesy Goodall Homes).